*College Graduate Program is subject to credit approval and is available to U.S. citizens or permanent residents who graduated from a U.S. or Canadian accredited college/university no more than 24 months prior to credit application. Applicant must be employed in a full-time permanent position or have a written commitment from a future employer. References, proof of income, copy of degree or official transcript, and contact information for college/university required. Credit history is not required, but existing credit must be in good standing and have no previous derogatory credit. Program good from June 5, 2018 to January 2, 2019. Offer valid through participating dealers only. Program not valid in Puerto Rico. See your local Volkswagen dealer for details or, for general product information, call 1-800-Drive-VW. **Volkswagen of America, Inc. will pay a $500 Contract Bonus when customers eligible for the College Graduate Program lease or purchase a new, unused Volkswagen vehicle through participating dealers and finance the lease or purchase through Volkswagen Credit from June 5, 2018 to January 2, 2019. 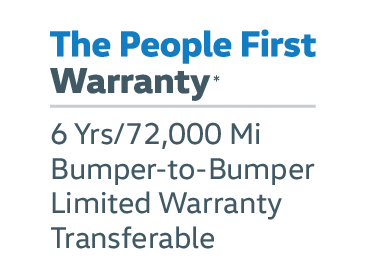 Excludes Certified Pre-Owned vehicles. May not be combined with VW TDI programs (79L and 81R). Subject to credit approval by Volkswagen Credit. Bonus must be applied toward customer lease or purchase and is not redeemable for cash. Offer not valid in Puerto Rico. See your local Volkswagen dealer for details or, for general product information, call 1-800-Drive-VW. *Volkswagen of America, Inc. will pay a $500 Military and First Responders Bonus for qualified active duty U.S. Military service members, U.S. Military Veterans (Veterans must be within 24 months of active duty), U.S. Military retirees, First Responders (Police Officer, Sheriff/Sherriff’s Deputy, Correctional Officer, State Trooper, Federal Law Enforcement Officer, Firefighter (career or volunteer), EMT, Paramedic, 911 Dispatcher/Operator) and their family household members who purchase or lease a new, unused MY14-MY19 Volkswagen model (excluding Golf R) through participating dealers starting on May 10, 2018. Proof of military/first responder eligibility and residency of family household member (if applicable) required. Bonus applied toward MSRP and is not available for cash. Fleet customers are not eligible. One bonus per VIN. Eligible customers may receive this bonus on up to two Volkswagen vehicles per year. See your local Volkswagen dealer or, for general product information, call 1-800-Drive-VW. ©2018 Volkswagen of America, Inc.
*Volkswagen of America, Inc. will pay a $500 Military and First Responders Bonus for qualified active duty U.S. Military service members, U.S. Military Veterans (Veterans must be within 24 months of active duty), U.S. Military retirees, First Responders (Police Officer, Sheriff/Sherriff’s Deputy, Correctional Officer, State Trooper, Federal Law Enforcement Officer, Firefighter (career or volunteer), EMT, Paramedic, 911 Dispatcher/Operator) and their family household members who purchase or lease a new, unused MY14-MY19 Volkswagen model (excluding Golf R) through participating dealers from May 10, 2018 to January 2, 2019. Proof of military/first responder eligibility and residency of family household member (if applicable) required. Bonus applied toward MSRP and is not available for cash. Fleet customers are not eligible. One bonus per VIN. Eligible customers may receive this bonus on up to two Volkswagen vehicles per year. See your local Volkswagen dealer or, for general product information, call 1-800-Drive-VW. ©2018 Volkswagen of America, Inc.
All prices show maximum discount and include all incentives which the dealer retains unless otherwise specifically provided. Discounts cannot be combined. Dealer installed accessories are not included in advertised price. In some cases you must finance/lease with Volkswagen credit to receive maximum discount. All advertised prices cannot be combined with special lease or special rates. Dealer not responsible for errors and omissions, all offers subject to change without notice, please confirm listing with dealer. We appreciate your interest in our inventory, and apologize we do not have model details displaying on the website at this time. Please fill the form out below and our team will quickly respond, or, please call us at (919) 493-7411 for more information.